So what says Christmas more than a 4km run around the park and over a hill?? Well I suppose the list is endless – but that won’t stop anyone!! anyway, I’ve just sent my application off to do just that – 4km around ninesprings park in Yeovil on the 15th of December, organised by Yeovil Running Club in aide of St Margarets Hospice. The added twist is that it’s in fancydress (as in santa costumes) but that should add to the fun. 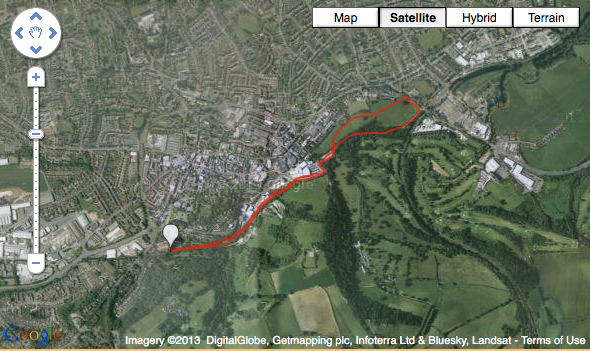 I should be fully healed by then – but if not it’s only 4km and the bus stops near the hill!! Next Farm Recovery Run No 2.